The choice of styles in women’s eyeglass frames is endless. For some, the large selection can make it difficult to make a decision. If you’re looking for the best Women’s Frames in Chandler AZ for you, there are some simple points you need to ask. Determine whether you want bold, modern frames or a delicate, conservative ones. Will you be wearing them for work or just casually? What is the best color scheme for you and your wardrobe? What is your face shape? Are there specific things about your present frames that you don’t like? When you have answered those questions, it will be easier for you to refine your search. When you have found the styles that interest you, you’ll need to be sure the frames fit well. 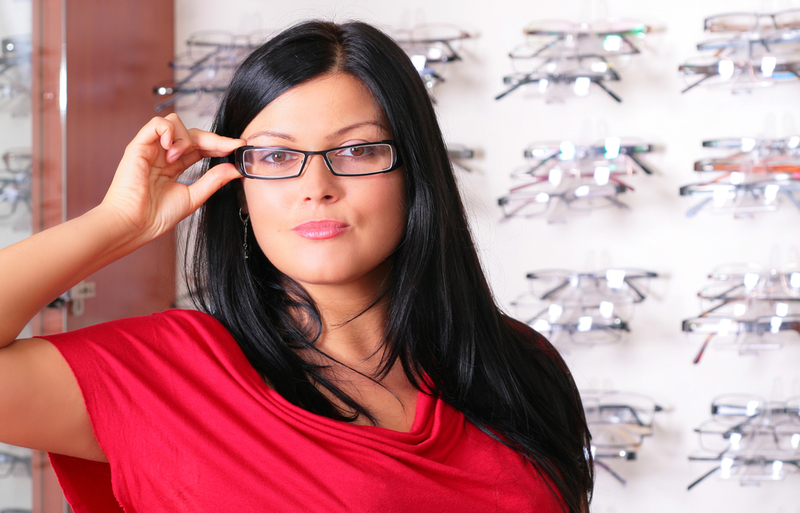 Be sure you choose frames that are the correct width for you face. You won’t want them pressing on your temples. Make sure that the arms are long enough to go over your ears. Check to be sure that the nosepiece is comfortable. Finally, when you are trying on your frames, move your head upwards and downwards to be sure that they remain securely, and comfortably, on your face. Our office has a wide selection of the newest trends in women’s frames. Our friendly staff is here to help you choose the best frames to fit you and your lifestyle. At VISION EDGE we recognize the importance of offering personal, professional and detailed advice to our valued patients. Dr. Stamper, OD and the expert team of eye care professionals are here to help you with all of your vision and Womens Frames Chandler AZ concerns. We’re proud to offer expert advice, the latest frame styles to complement your facial features, lens cleansing and eye glass inspection at no cost to you, as well as quick adjustments and minor repairs. Contact us today to schedule an appointment with our expert eye care professionals. We understand how important your vision and eye health concerns are. Feel free to discuss your concerns with us. We’re here to answer all of your questions, evaluate your eye health concerns, and provide you with the best Womens Frames Chandler solutions. The eye care professionals at VISION EDGE EYE CENTER will be happy to provide you with expert advice and respond to all of your vision concerns. To schedule an appointment with our expert team, email us or call us today. We look forward to serving you!